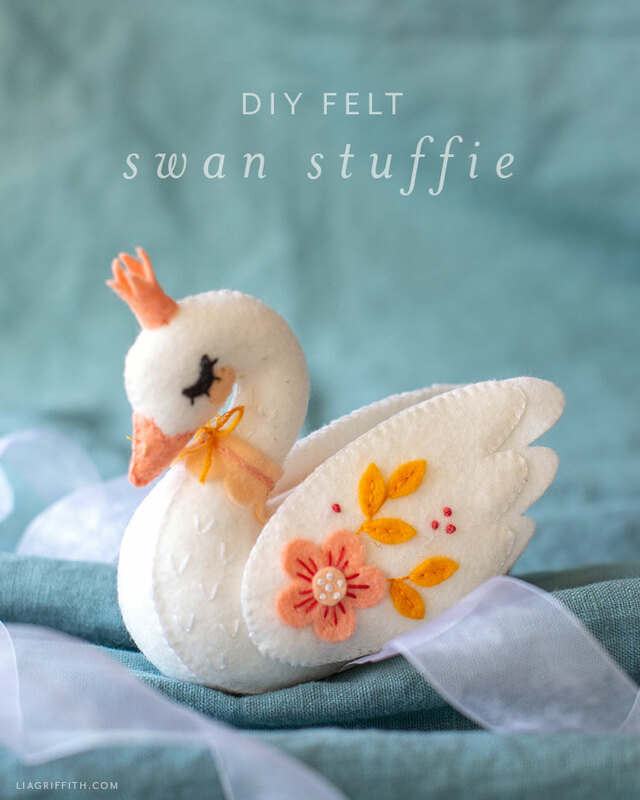 Meet Odette, our new felt swan stuffie! 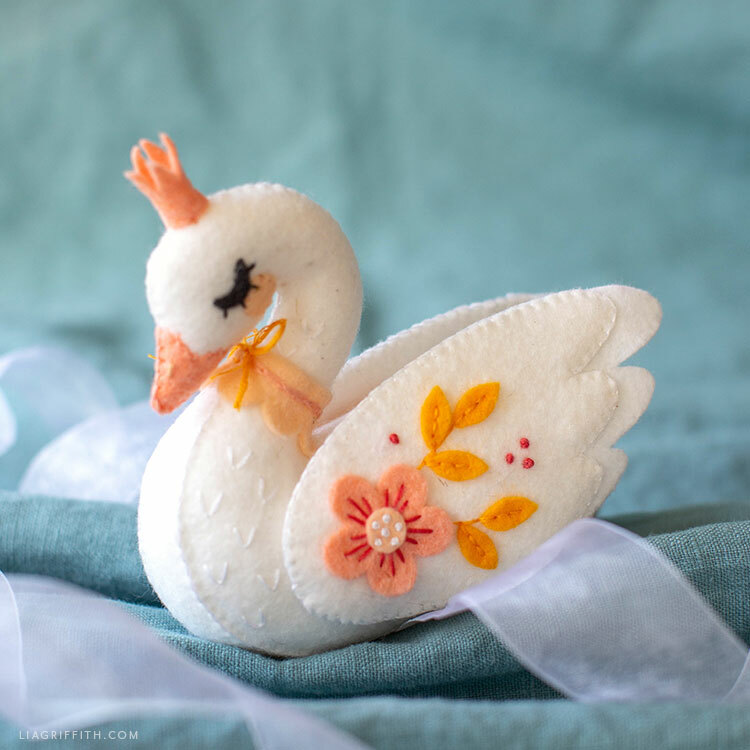 Designed by Krista, this is the first swan to join our cute collection of little stuffies. 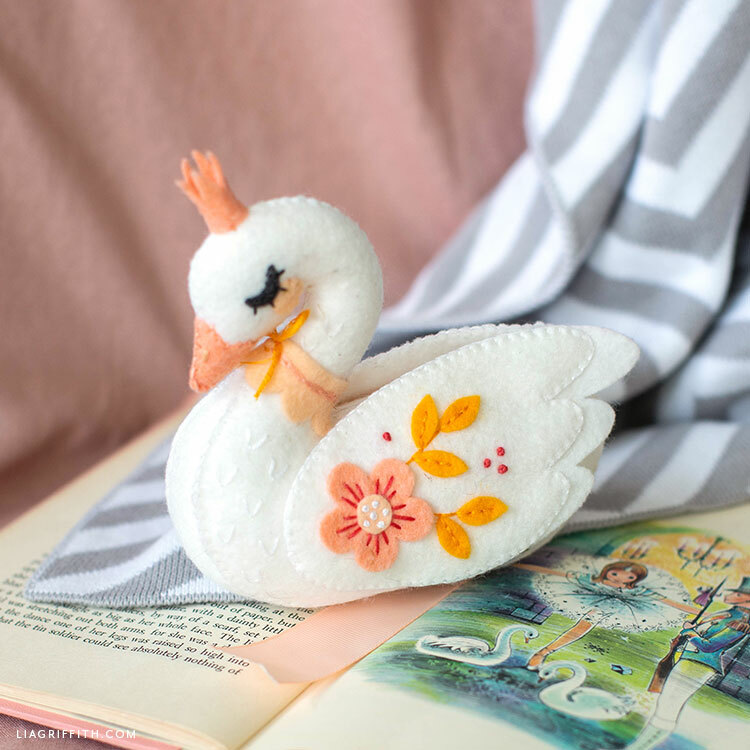 Considering the different types of stitching involved and the intricate details of this swan, we’d say it’s a great project for those of you with an intermediate or higher skill level. 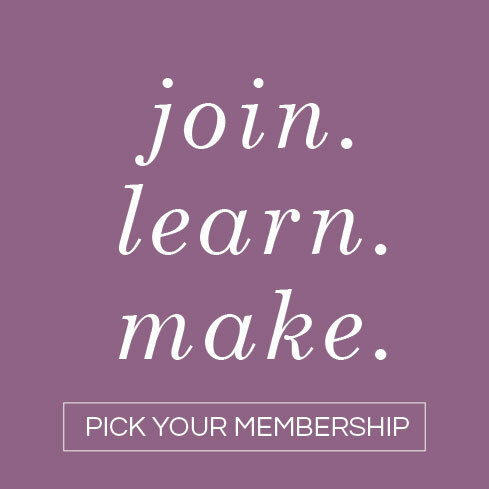 If stitching is new to you or you are a beginner, a better felt project to work on would be our felt owl stuffie or our penguin stuffie. 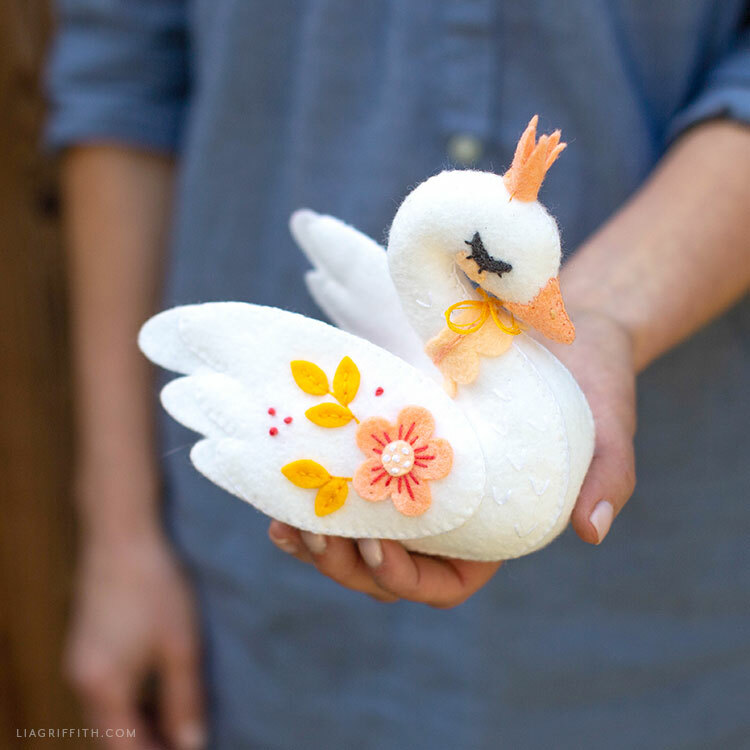 Remember the story of the ugly duckling that turned into a beautiful, elegant swan? 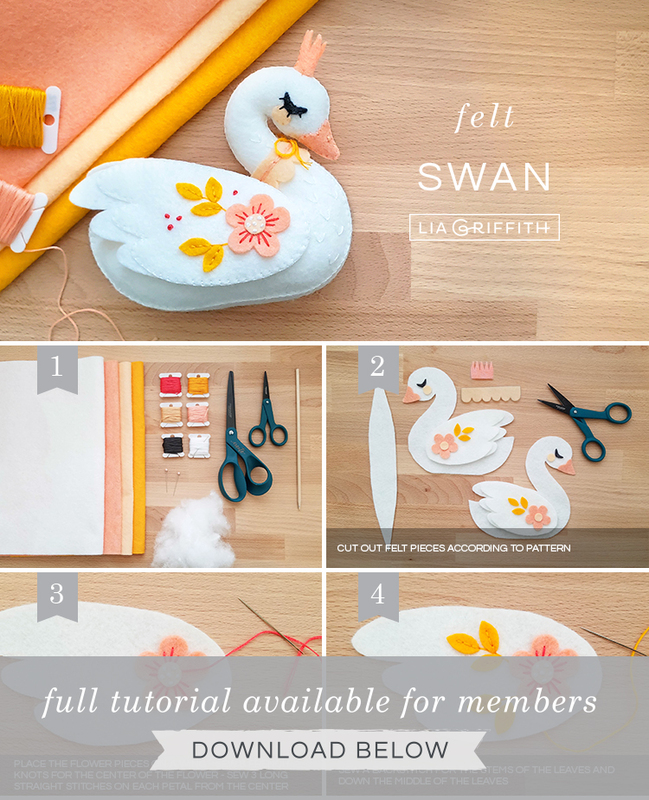 Well, today we’re going to show you how to transform some simple materials into this amazing felt swan stuffie! We have linked to all of the tools and materials we used for this felt craft below, but of course you can use what you have on hand—or what you like best! The one thing we do recommend, though, is using a high-quality felt. 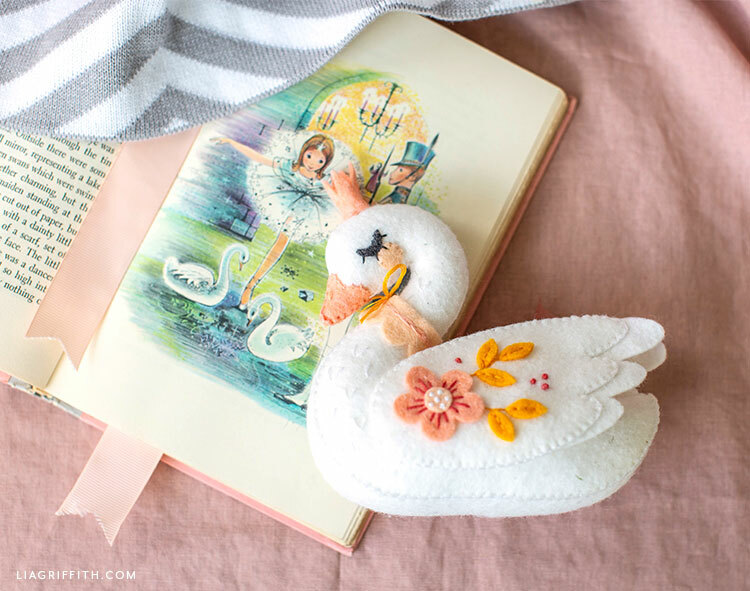 The details and craftsmanship are what make this felt swan stuffie so special. If you have any questions for us while crafting, just let us know. And be sure to share your pictures with us so we can see your beautiful work. Cut out felt pieces according to the pattern, using your scissors or Cricut Maker. We recommend using detail scissors for some of the smaller pieces. Place the flower and center felt pieces on one of the wings. Sew six french knots through the center of the flower to secure it to the wing. Sew three long straight stitches on each petal from just under the center. See embroidery guide for details on stitches/color/number of strands. Sew a backstitch for the stems of the leaves, coming out from under the flower and down the middle of the leaves. Want more craft ideas like this one? 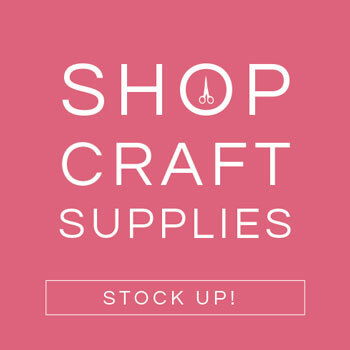 We have tons of felt and fiber crafts for you to explore on the site. Or branch out to a new medium! 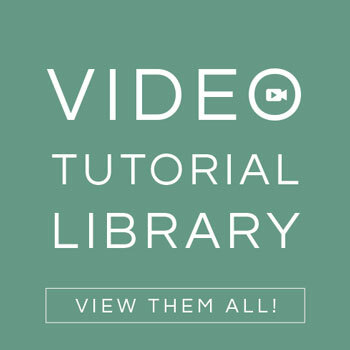 We have paper flowers, jewelry, and many more DIY project ideas that are simple to make. Hi Maureen, can you please email hello@liagriffith.com with more details about the problem you’re having so we can help you?